But Francesca, didn't you just declare your love for jeans the other day? Yeah, but I've been hypocritical since 1995 and I don't intend to change twenty-two years into this crazy thing called life. All jokes aside, yes it's true, I do love myself a good pair of jeans. I think they're a staple in anyone's wardrobe and you can style them so many different ways. However, I can't live in jeans. I get sick of things after a few weeks, how am I supposed to only dedicate my life to wearing denim? Where's the variety? 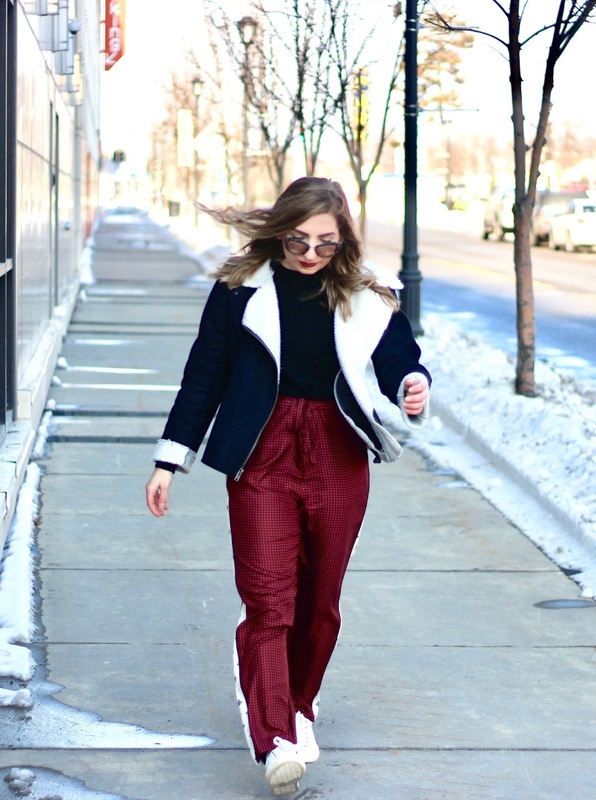 This isn't the first time these silk pants from Rag & Bone have made an appearance on this blog and I guarantee it will not be the last, either. I wore them back in the summer with a plain white tee and some sneakers and then again in the early fall with a textured, voluminous blouse. I've also worn them countless times in between, mostly with some sort of variation of a black sweater paired with it to ensure that I don't freeze my...you know what, it's too early in the post for me to be weird. Now, as much as I would love to live in a skirt and let my legs be free, it's cold. Now, yes, tights exist, but they are not enough of a barrier from the elements to convince me to wear a skirt when the windchill is in the single digits. Sorry not sorry. I'm also not a massive fan of traditional "trouser" pants. Of course, those two are certainly viable options if you're bored with wearing jeans constantly. 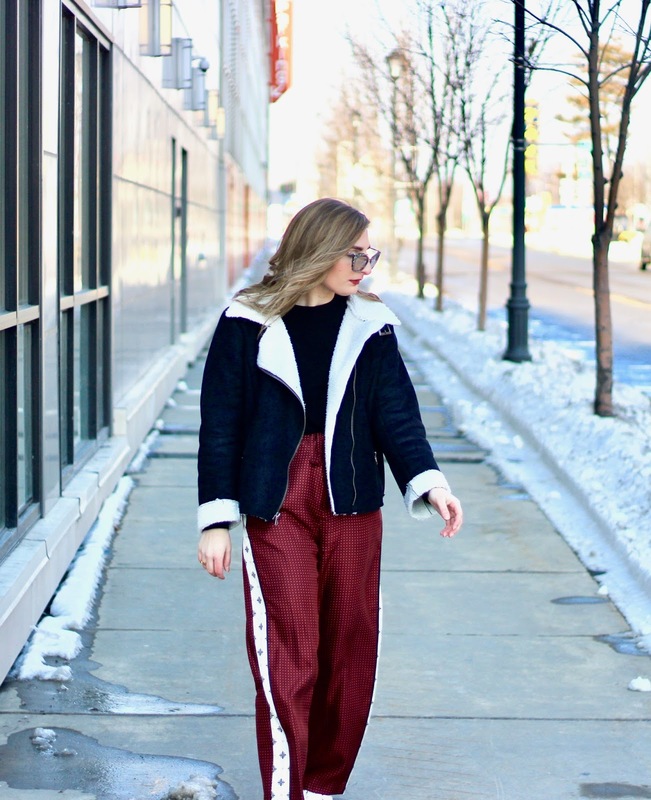 A personal favorite of mine to shake up my pant game are a pair of loose-fitting pants. They don't necessarily have to be palazzo pants or joggers, just something that skims the leg and ooze comfort. I mean, what could be better than a pair of pants that might as well be fancy pajama pants? Not many things, really. 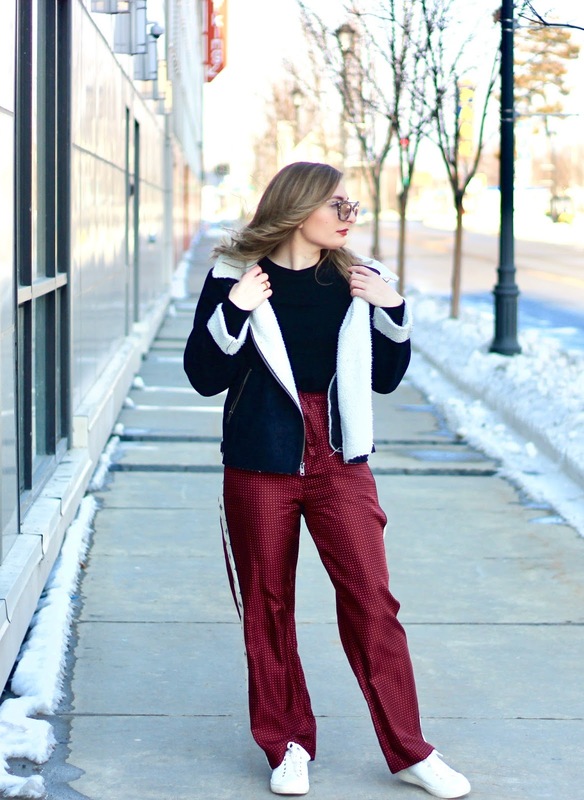 Are silk pants a great choice to wear during the winter when there's snow? Most likely not, but I'm irresponsible and that burgundy shade is just begging me to wear it at this time of year with a matching lipstick. And the best part? You can hide fleece lined leggings underneath and no one would know. I mean, how are you going to tell that there's an extra layer underneath a pair of pants that barely touch my leg? Boom. It's genius. I for one stan jeans, but I also like to keep things interesting from time to time. I could wear this exact same outfit, sans the pants, with a pair of jeans and it would also be a nice outfit. I mean, really, styling other pairs of pants is similar to styling something with a pair of jeans. Make an outfit with a pair of jeans and switch them out last minute for your alternative bottom of choice. Now you have two potential outfits for when you're not yawning at your thirtieth outfit involving jeans in a row. Megan Ellaby has challenged herself to not wear jeans for an entire week (her denim collection is insane, I don't blame her for wanting to live in them) which thus inspires me to try to not rely so heavily on my denim. But it's hard, guys. 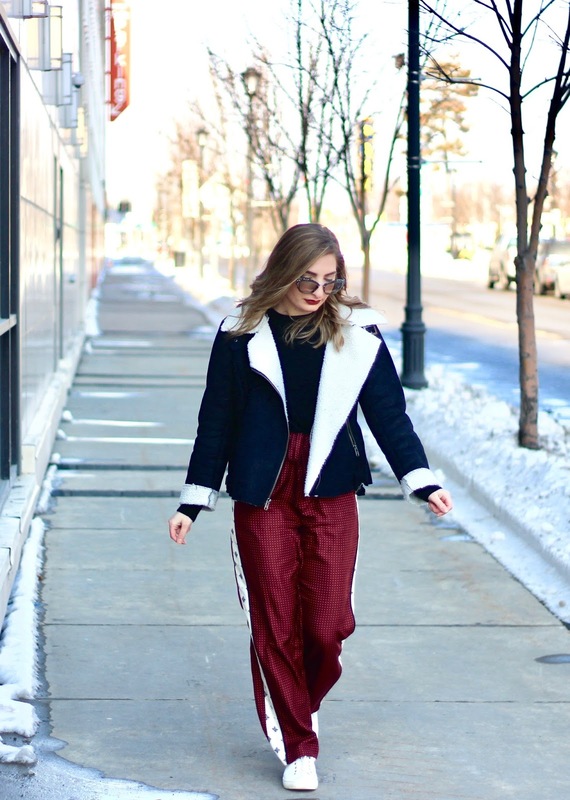 When you don't have a dress code dictating your life, it's so easy to just fall into the same cycle of wearing what makes you the most comfortable and where your main style ~inspiration~ is drawn from.